A noteworthy change is headed to a mobile Safari browser near you. The inertia scrolling properties currently used within mobile Safari will be updated to be faster and more consistent with other apps, including Apple-made apps, in iOS. Currently Safari features slower inertia scrolling properties, something that the browser has featured since its inception back in 2007. Google’s Accelerated Mobile Pages Project (AMP), which seeks to speed up web page access times by providing a stripped down version of HTML, features different scroll inertia due to inconsistencies in the way Safari is currently designed. In a future Safari update, its scrolling behavior will be changed to be more in line with scrolling performance throughout the rest of iOS, effectively reducing the rate of scroll deceleration. 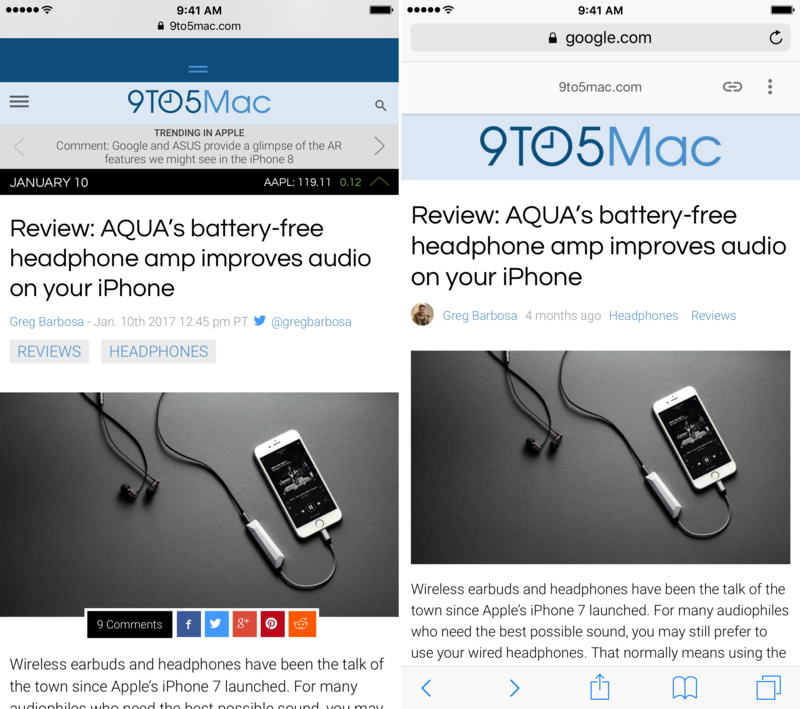 Daring Fireball’s John Gruber, who has criticized AMP, noted that one of his pet peeves is the way that web pages provided by AMP differ in their scrolling behavior when compared to normal page requests in mobile Safari. In response to Gruber’s complaint, Om2 on Hacker News, presumably an Apple employee who works with WebKit, noted that AMP pages use overflow scroll, which are consistent with the rest of iOS, but not consistent with top-level Safari performance. A change is currently in the works to remove the slower scrolling properties from Safari, which will make scrolling perform like AMP pages do now. If you want to test what scrolling will be like in Safari once this change is implemented, simply load an AMP page, or use any other app that utilizes a UIScrollView. We’ve also created a brief video that showcases the scrolling differences between current Safari, and AMP pages. As for when we can expect this change to go live, it makes sense that we could see it in the iOS 11 beta, but there was no mention of any concrete date. Do you like the way scrolling in Safari works now, or do you prefer the faster scrolling properties found in AMP and other iOS apps that use UIScrollView? Sound off in the comments below with your thoughts.